Oh, well, of course we’ve had to cut back. Even little Sara has less after school activities, poor thing. She was heartbroken when we told her she’d have to cut something out, but in the end we decided to combine them instead. 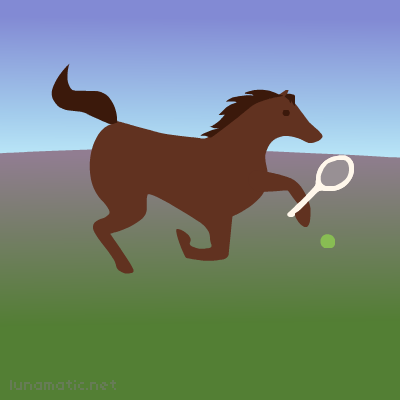 She hasn’t manage to beat the pony yet, but we’re confident, with a little more work on her back hand, she soon will.